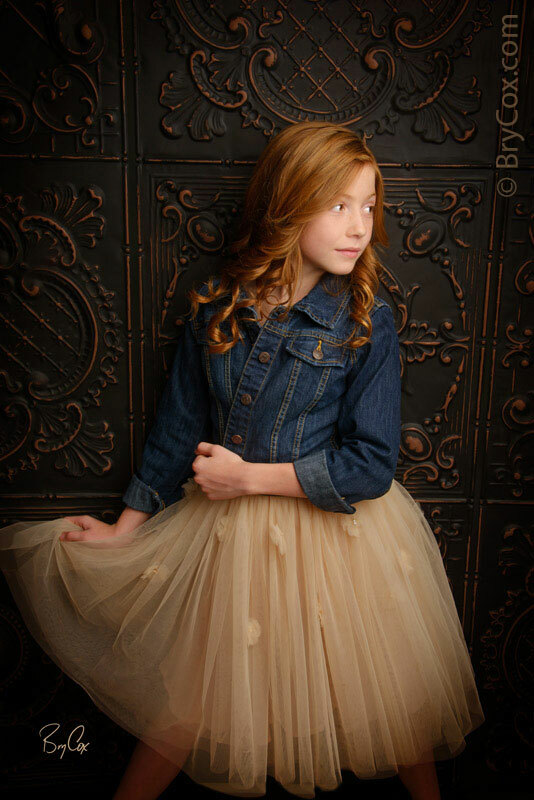 Lexi Walker‘s YouTube video of her singing “Let it Go” from Frozen has over 50 million views. 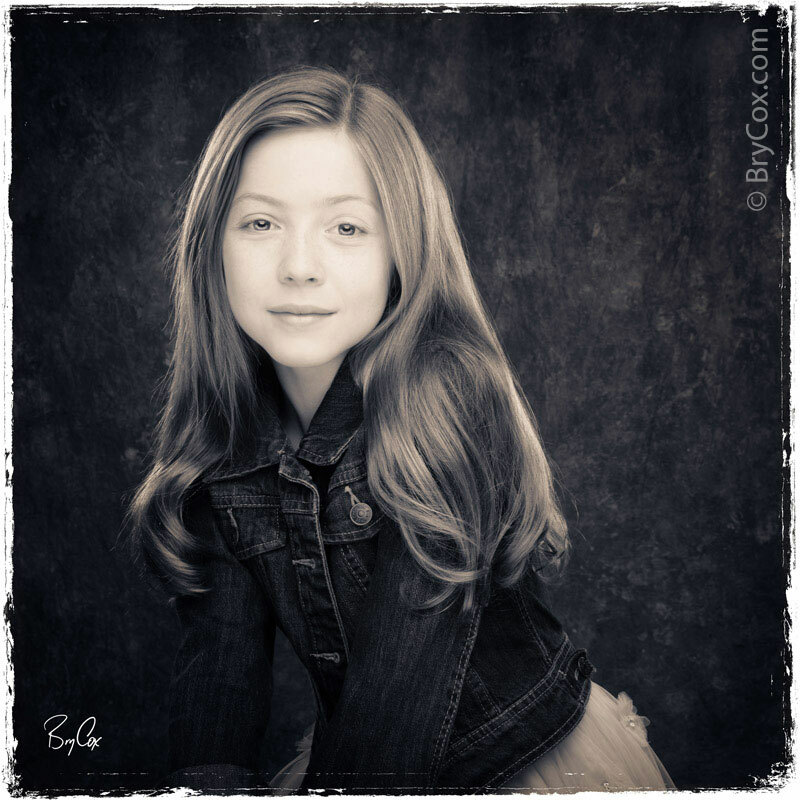 Being only 12 years old, she has fantastic control of her voice, and she’s getting more and more gigs like singing on TV shows, for various events, and with musicians like Michael Martin Murphy. All of this means that she needed some really cool new portraits for press kits, gigs, and web use. Years ago I named my studio, “BryCox.com – Celebrity Style Imaging” because of my unique style of focusing on lighting and emotion. I don’t just take pictures of people, I work to create portraits that tell stories. 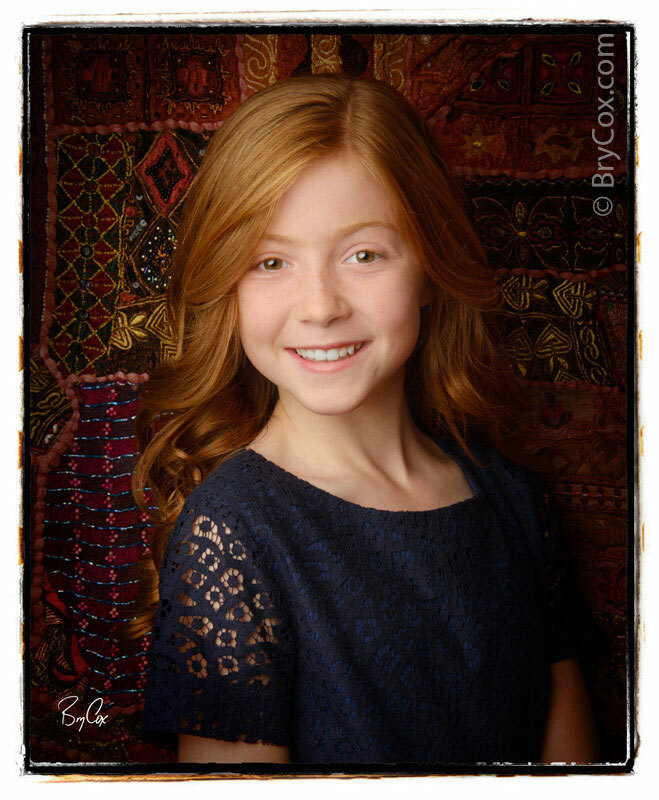 For this shoot, Lexi is a very talented and beautiful girl. I wanted to show professionalism, skill and stage presence, but also show that she is a young 12 year old and fun-loving kid. Lexi was such a fun girl to shoot. Even though she is young, she is very intelligent and precocious, and was fun to laugh and talk with. The shoot was a blast, and the images really show her personality. If you are needing some new portraits that stand out and are completely different from the norm, give me a call at 801-728-3317. Though I am a Utah based photographer, I do work all over. Besides offering you options here at my studio and in my outdoor gardens, I do a lot of location work in Salt Lake City, throughout Utah, and out of state. Call me and let’s create something wonderful for you.